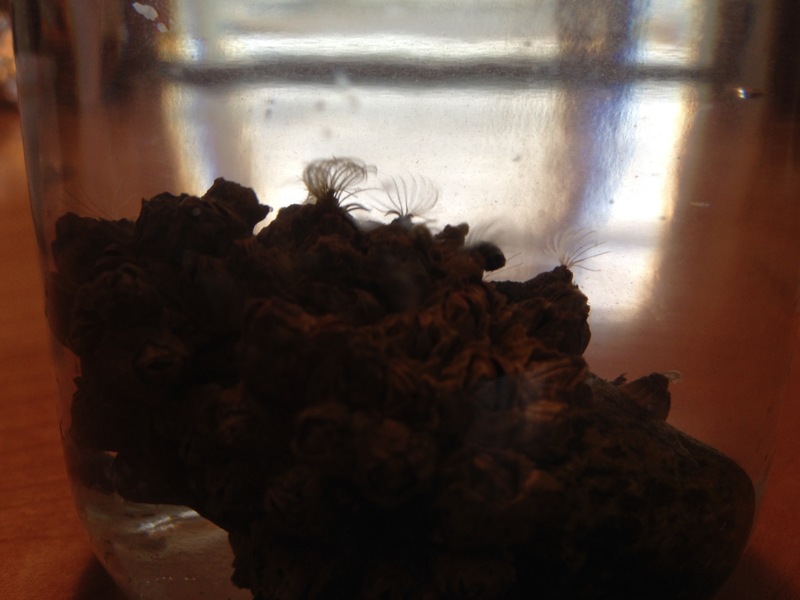 Find barnacles on a beach, or look at ones brought into the classroom. Watch them filter feed. 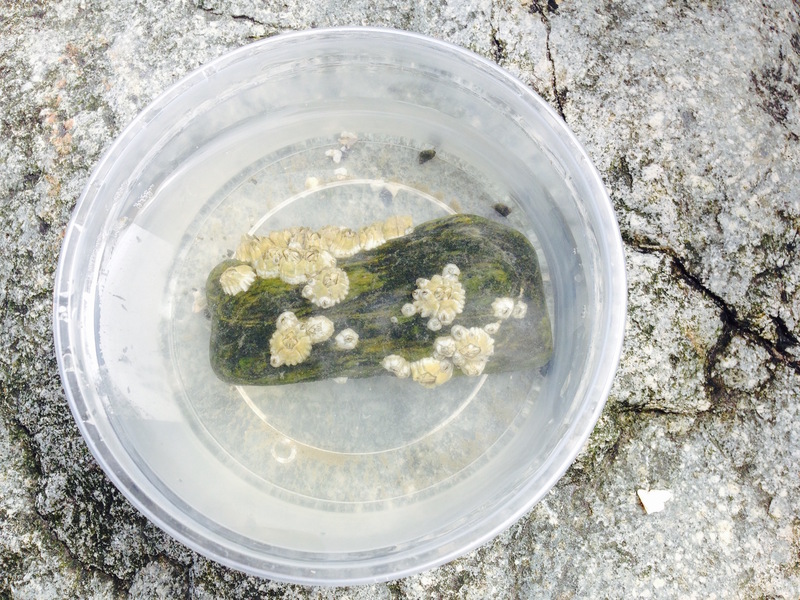 If this activity is to be conducted in a classroom, collect small rocks with barnacles attached, and store in the fridge overnight out of water. Also collect containers of sea water, one kept in the fridge, one at room temperature. Return the barnacles to the same beach after the experiment. At a beach, ask students to find barnacles themselves. Point out the young and old barnacles, and the scar where a barnacle used to be. Live barnacles can be gently touched to make them shut their shells tight. With the barnacle rocks in a jar each, add sea water to them. Watch and wait. The barnacles will first release a bubble of air, then gradually open up and start to feed. Barnacles at the beach start filter feeding when the tide comes in, and close up when the tide goes out. If you add room temperature water to the jar, the barnacles will start feeding very rapidly, but will die if the water is too warm for too long (i.e. 18 C, or so). 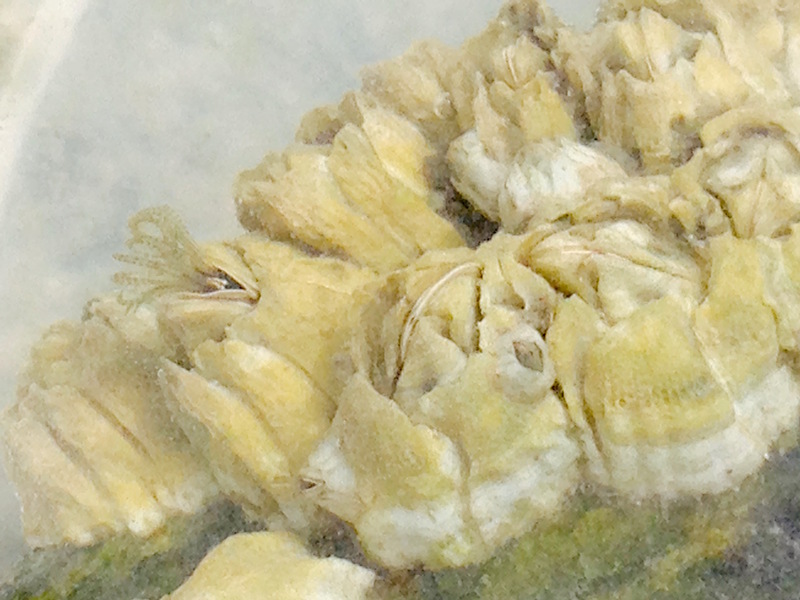 If you add cooler water, the barnacles will last for longer, but may not start feeding as rapidly. Optional, though quite subtle: compare beat rates of barnacles at different temperatures. Temperatures need to be around 8C and 18C to really see a difference, and it is hard to maintain the sea water at these temperatures in a hot classroom. Also, different barnacles inherently beat at different rates, so it is an overall effect to be noticed: at the lower temperature they are overall beating more slowly than at the higher temperature. Tide low enough to find barnacles: 11ft tide below Tatlow Park. Sea water is about 10 degrees C.